The gum wall near Pike Place Market is by far Seattle’s stickiest attraction, and some may also argue it’s also the city’s grossest attraction. The downtown landmark started creeping up in the 1990s around the Market Theater and it’s now a huge tourist attraction in Seattle. 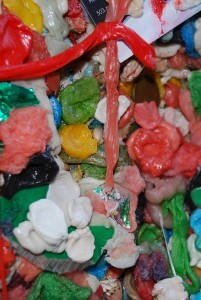 A close up look at the gum wall. – From the pig, go down the stairwell to the left and around the corner. 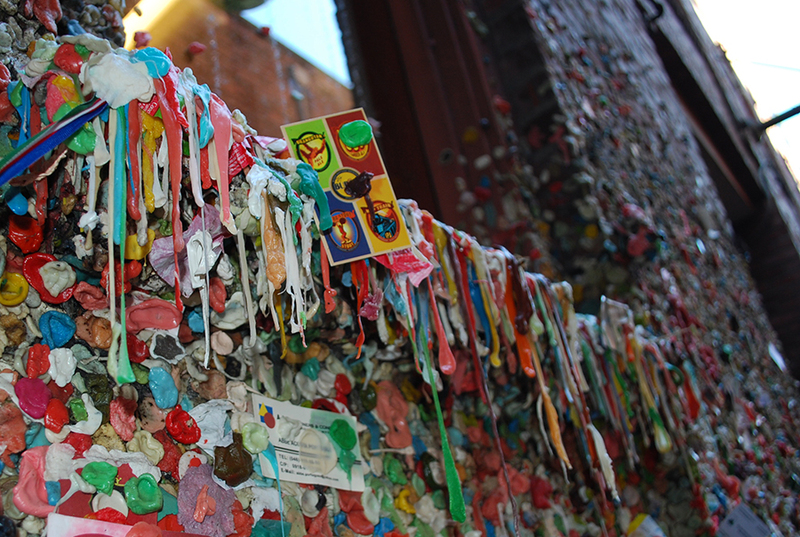 – The gum wall is located on your left, right next to (or covering) the Market Theater. The gum wall started about 20 years ago when people started leaving their chewed up gum on the wall. They would then tuck coins inside the chewed gum. The Market Theater staff originally tried to clear off the gum, but the tradition eventually stuck (literally) and the staff gave up. 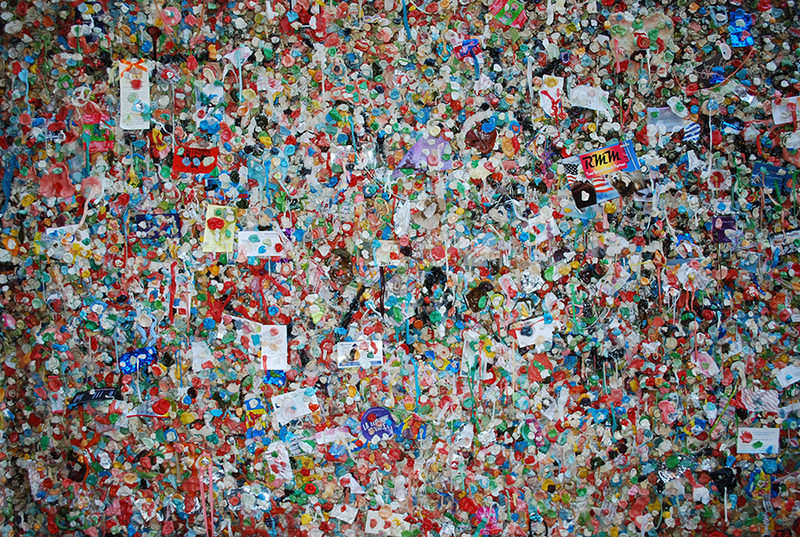 By 1999, Pike Place Market named the gum wall an official tourist attraction. Today, people flock to the wall just as much as any other attraction in town. Thousands of pieces of chewed up gum. I remember visiting the gum wall for the first time back in high school. It’s incredible to think about what it looked like back then. 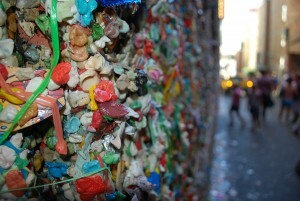 I really wish I had a picture, so I could compare it to what the gum wall looks like today. Every time I visit, I see more and more gum. The area where gum is stuck to the wall is always expanding. In fact, people have even started sticking gum to the wall on the opposite side of other the theater on Post Alley. Some people even make “works of art” with their chewing gum. Who ever thought people’s used gum would bring so many people to a small alley? I always enjoy taking friends and family to the gum wall just to see and hear their reactions. Everyone is always in awe of it, probably because it is so out of the ordinary, and also a little gross. It was once named one of the germiest tour attractions in the world (listed only after the Blarney Stone in Ireland). The gum wall in Seattle. If you make a stop at Pike Place Market (which you should), then a visit to the gum wall is totally worth your time (because it’s right there). Just make sure you don’t forget your bubble gum. 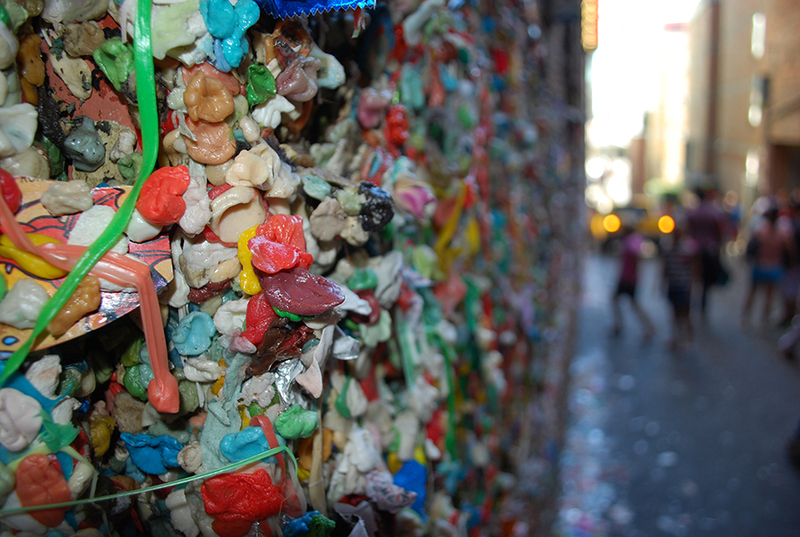 Have you ever visited Seattle’s famous gum wall? Do you think it is gross? Did you leave your mark on the wall? We’d love to hear from you. Leave us message or connect with us on Twitter, Facebook and Google+. 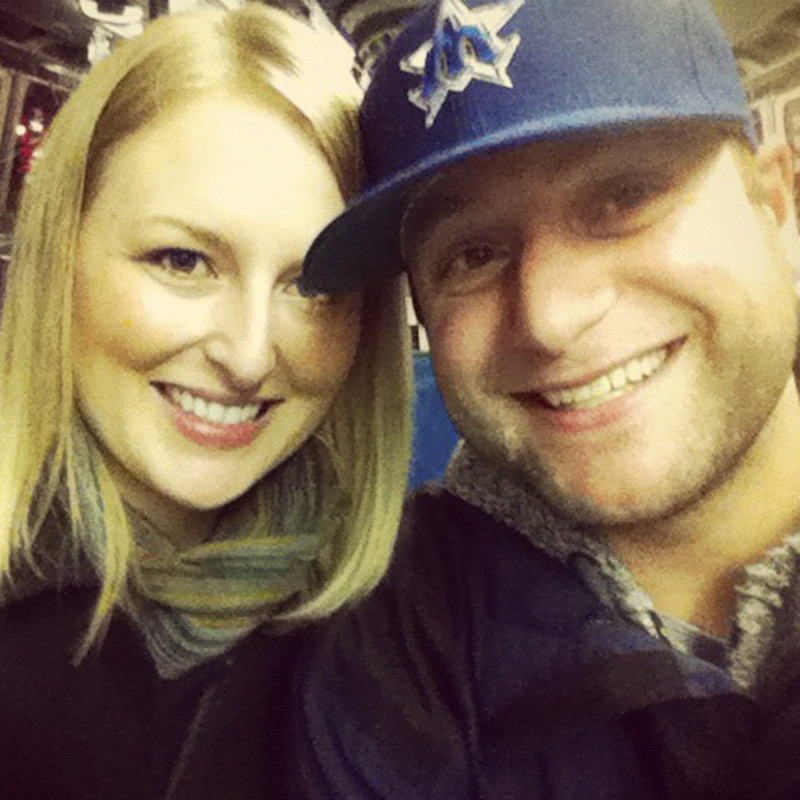 Don’t forget to also check out Seattle Bloggers for more fun places to check out around the Emerald City. People still leave items inside the gum, including paper, business cards, coins and small trinkets.